Comfortable yet tough, the GEAR4 Curvz stereo in-ear headphones are ergonomically designed to give you the most comfortable listening experience. Comfortable yet tough, the GEAR4 Curvz stereo in-ear headphones are ergonomically designed to give you the most comfortable listening experience. 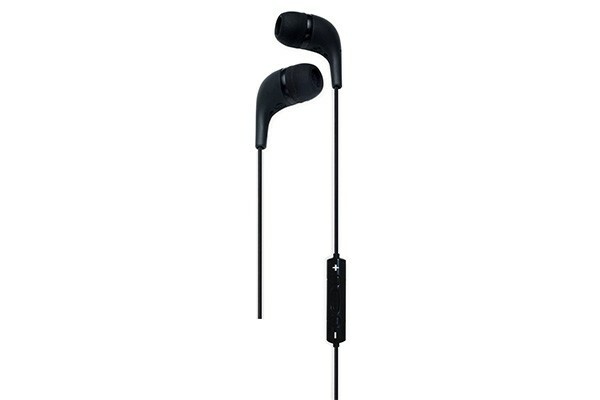 Lightweight and with a curved earpiece for a more natural fit, they'll make sure that your music doesn't leak out, and the outside world doesn't get in. Available in 4 attractive colours, treat your ears to the Curvz listening experience. For the best listening experience on the move, GEAR4 knows that your comfort must be the utmost priority. That's why every element of the Curvz headphones, from the positioning of the ear cups to the materials used, is considered to result in a secure and comfortable fit. By using an ergonomically-curved design that's contoured with a liquid rubber finish, you'll find that these headphones offer a more natural fit, allowing you hours of easy listening whether at home or on the move. If you're going to be listening to your music when out and about, choosing a set of headphones that offers a close and comfortable fit is a must. Not only will they stay secure in your ears even when you're moving, they'll also improve the quality of your listening experience by isolating background noise and reducing sound leakage, so you can enjoy more of your music without the outside world intruding. The Curvz headphones come with three sizes of earbuds included, to allow you to choose the right one for a perfect fit. Curvz stereo headphones are available in a choice of four attractive colours. Your headphones say more about you than you may realise. That's why the GEAR4 Curvz headphones feature an elegant yet robust contoured design, with a liquid rubber finish in one of four attractive colours. iPod touch (1st – 4th generation), iPod nano (1st - 5th generation), iPod classic, iPod with video, iPod with colour display, iPod Mini, iPhone 4, iPhone 3GS, iPhone 3G, iPhone, iPad (1st and 2nd generation), any music player with a 3.5mm audio port. Design – GEAR4's headphones are understated and elegant, yet tough and highly driven. Our specialist in-house design team builds on established principles to create iconic headphones in instantly-recognisable packaging. Comfort – our headphones are designed and sourced with your comfort as a priority. Everything from earbud positioning to ear cushion materials is considered to deliver a secure and comfortable fit. Clarity – by using the best technology at our disposal, it is our mission to provide you with an excellent auditory experience - wherever you are, whenever you listen. 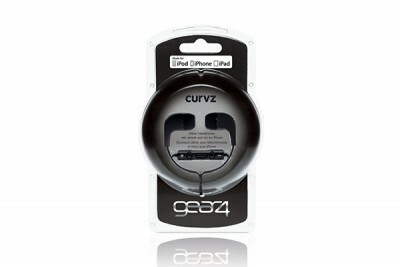 Curvz comes in a range of attractive colours: Black, Blue, Purple and Pink. If you want more from your headphones, the Curvz iPhone comes with a 3-button microphone/controller compatible with iPhones, iPods and iPads, perfect for answering calls and controlling your music on the move.